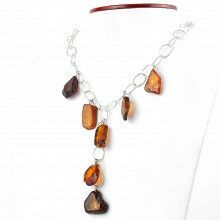 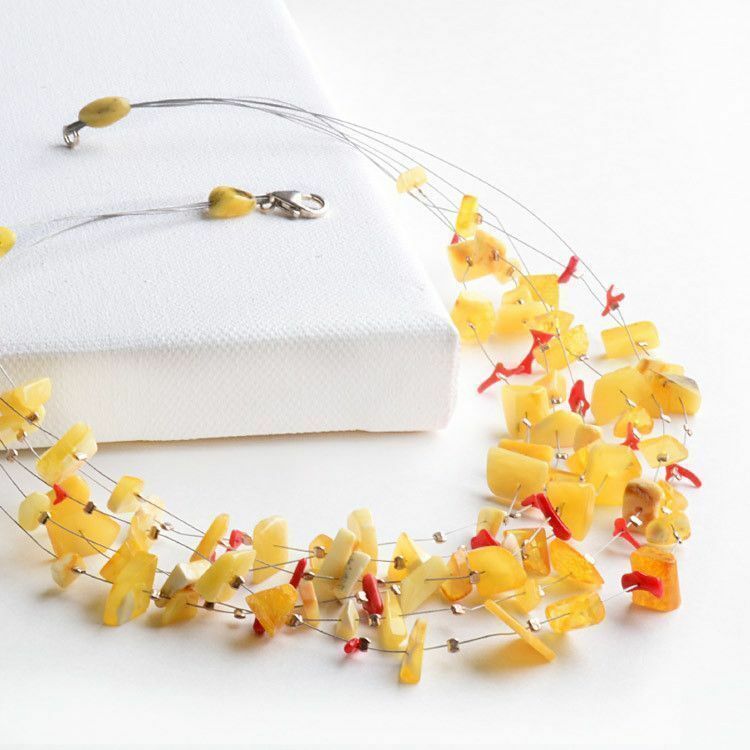 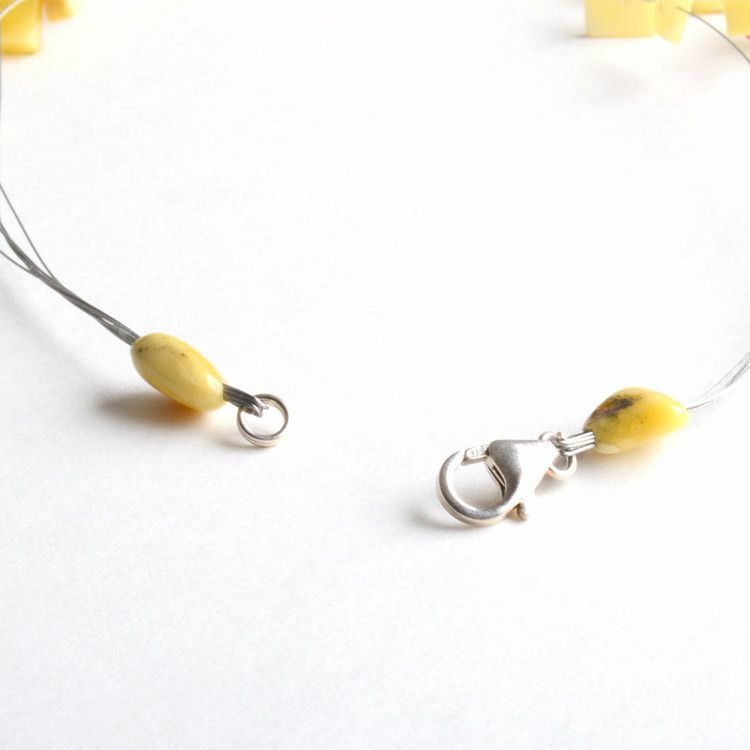 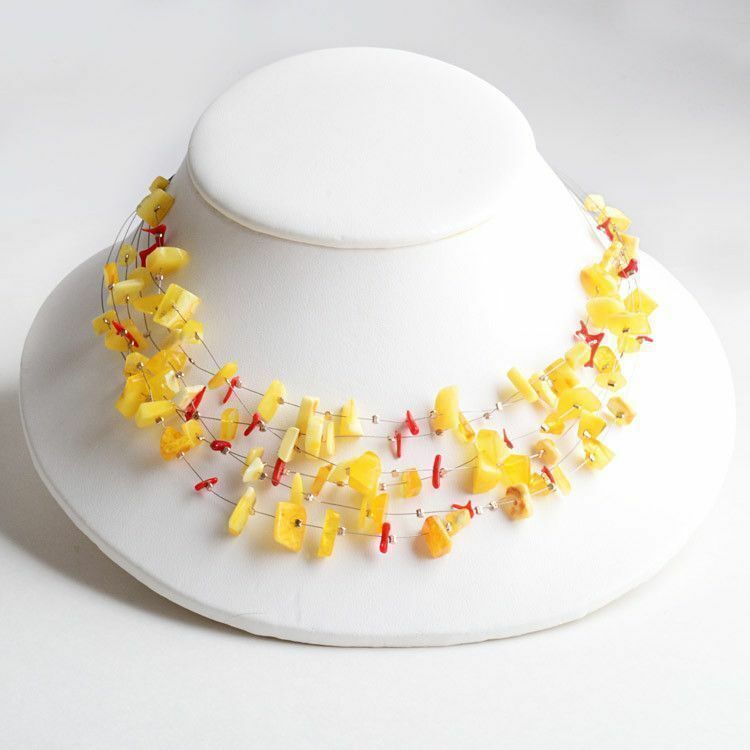 This unique and alluring amber necklace features an array of vibrant butterscotch colored amber stones set amongst a pattern of sterling silver balls, and red coral chips. 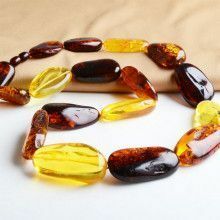 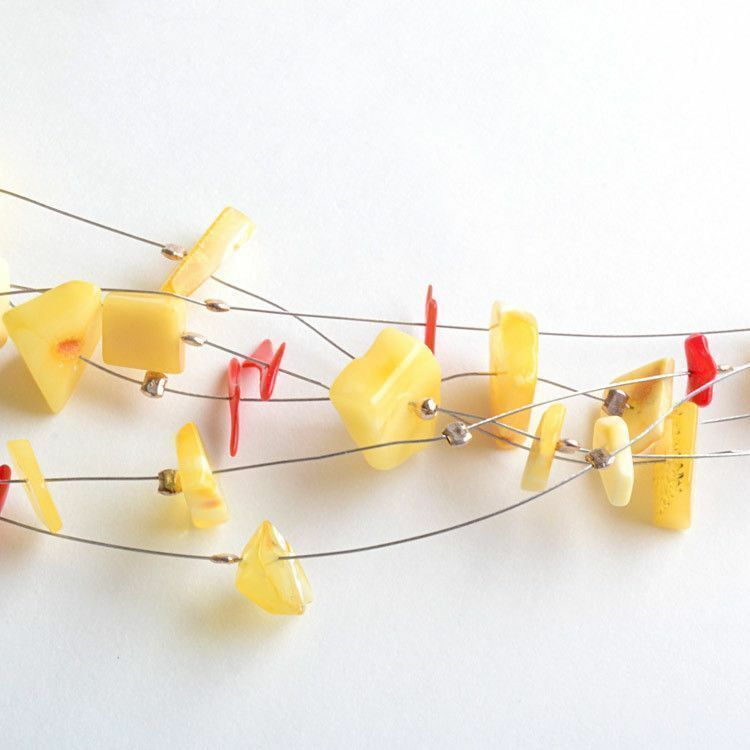 The amber stones range in size from 1 1/4" to 1 1/2" long. 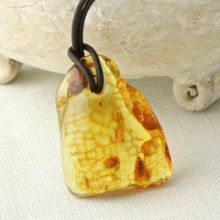 Opaque butterscotch amber is far less common than some of the translucent varieties of amber.